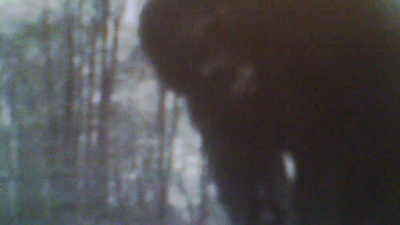 Scott Carpenter films Possible Bigfoot! Tennessee Researcher Scott Carpenter thinks he may have filmed a bigfoot while out searching. He also states he set up a time lapse camera in the area. Here is the description under the video.
" I sighted a Bigfoot on a ridge top in the National Park research area. The Bigfoot made some noise to get my attention, then stood up and silhouetted itself against the skyline. It rocked back an forth then dropped down. The sighting lasted about 10 seconds. The video contains my uncut reaction to the sighting. I am whispering and at times hard to hear because of my excitement." Have you had a close encounter or witnessed something unusual? it's at the point where he is zooming...kind of looks like a head. but I couldn't see a lot either. Dr. Melba Ketchum On The News! Bigfoot DNA Results - Indigenous People? Official Statement from Dr. Ketchum! New Hope For The Ketchum DNA Paper? New FAKE Video -- How Many Will Think It's Real? Did Dead Husband Show Up In Photo? Provo Canyon Bigfoot Mystery Solved? Attacked By A Band Of Sasquatches?